I am fortunate enough to spend a lot of time with Mary Wanless, founder of Ride with your Mind. A word she hates is “Try”. Can you feel what your seat bones are doing? I’m trying…. To try implies that you are putting in hard, pointless effort for something that won’t happen. I hate that I procrastinate – I’ll try to change. I don’t like being so disorganised, I’ll try to fix it. I need to lose weight / give up sugar / get fitter / give up smoking / get out of bed earlier…. I’ll try. I’m ambivalent about change – maybe I will, maybe I won’t, its pointless effort… I’m trying. I feel as disenchanted about a different word – work. It’s Monday, I have to go to work – ugh. I hate work, I need a holiday. I need to work, but I’m tired. Work is what you slog through 5 – 6 days a week to get to your weekend. Work, is not a place we choose. I work hard at the office, but I play tennis at the weekend. Different? 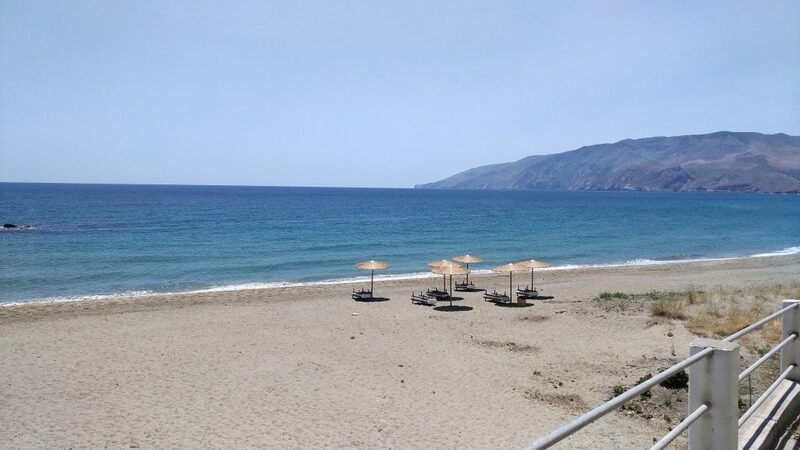 Recently, I posted a photo on Instagram, sea, sun, sand, saying damn, another tough day in the office, looking for a yoga retreat venue… And, a friend commented, “Ashleigh, do you ever work?” Honestly, really, truthfully, no. I don’t think I have ever done a day’s work in my life. I think, I inquire, I dabble, I explore, I (hopefully) inspire, or lead, or suggest, but work? No, I don’t do that. Another hard day in the office then…. And yet, we take our horses into an arena and we set to work. Working a horse, implies for us, that it is going to be a hard grind. I’m working hard on his half passes. I’m working for a better dressage score, or a more balanced canter to jump clear rounds. I’m working him to wear him out before we go hacking, so he doesn’t buck me off…. I’m going to my office to work. And for him? I’m being worked by my human – she is working at my leg yielding… Is that fun? Is that putting either of you in a good space to learn, understand, progress? I don’t think so. Recently, I wound up somewhere new, with new people, new ponies. On one of the first days, they asked if we were going to work ponies, and I said no, but we can play with ponies… They initially didn’t get it. 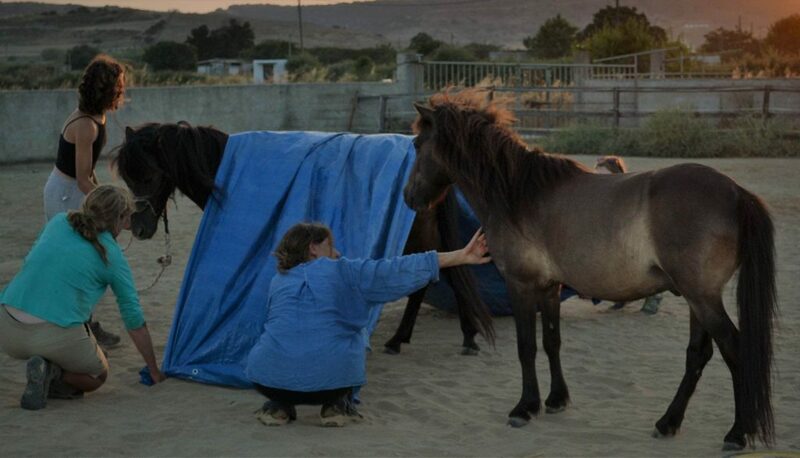 And then, we took three little geldings into the arena, in a belting wind, and opened up a huge square of tarpaulin. The wind blew, the plastic flapped, the ponies snorted and chased each other, and they played. It was an hour of laughing, of hanging onto corners of tarp, of team work, and of brave ponies exploring, bouncing on and off the plastic, allowing themselves to be wrapped up and covered over. Did we, humans or ponies, work? No. Was it serious? Well, here I am careful how I answer – I was watchful. I checked the ponies weren’t stressed, flooded, anxious. I watched them for signs that this was difficult. I watched that the humans were safe. It wasn’t blindly doing a free for all… Is that serious – to a degree yes, I guess so, but it was to encourage safe play, not to work. Did the ponies play? Yes. Did those ponies leave the arena with more confidence? Yes. The interesting thing was the youngest pony. He gets quite bullied by the other two, definitely the lowest in pecking order. He was the one we targeted the most, and he was the one who ended up totally wrapped up. And he definitely grew from the experience, he was a lot more cocky and self-assured with his two little friends the next day, actually chasing (in play) the lead pony. Did the humans learn within the play? Yes, I kept asking – notice, how is he breathing, notice, where is he looking, is his tail still, is his eye soft. The humans learnt about noticing, but the learning was through play. Play makes us happy. It raises our spirits. Work – well often it stresses us. Which one do you think inspires your pony to offer more? Are you going to work your horse today, or are you going to go and play with a half pass?